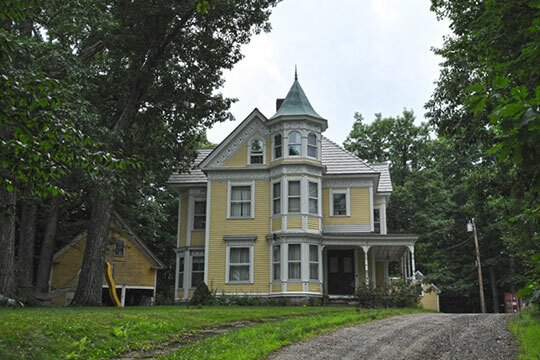 Photo: Greenacre,built by Joseph Thwing in 1880; 17 Court Street, Farmington, ME. Listed on the National Register of Historic Places in 1982. Photographed by User:Magicpiano (own work), 2014, [cc-by-3.0 (creativecommons.org/licenses/by/3.0)], via Wikimedia Commons, accessed March, 2015. The Franklin County Courthouse is located at 140 Main Street, Farmington, ME 04938; phone: 207-778-3346. Franklin County was established in 1838.